Up for review today is a very special smoke from Padron: the Padron Family Reserve No. 85 Maduro. 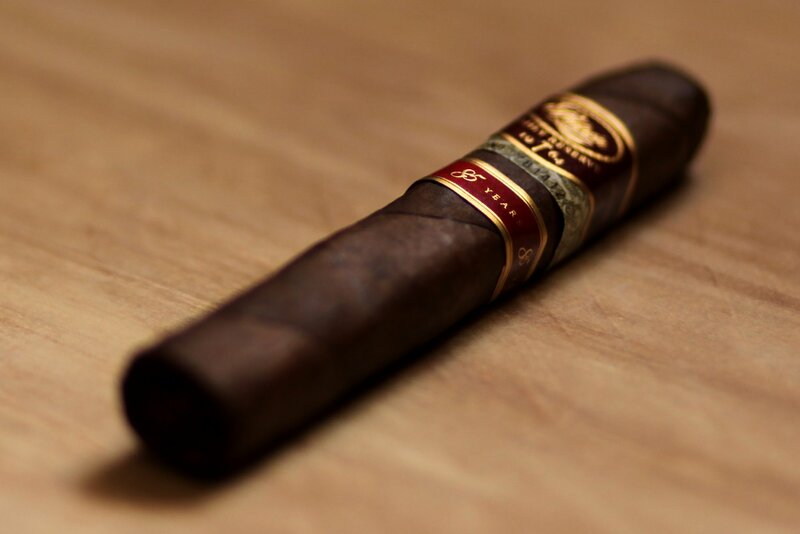 The cigar honors the 85th birthday of the late José Orlando Padrón who founded Padron Cigars in 1964. The cigar is also special in that all tobaccos in the cigar have been aged 10 years, which in the manufacturing of cigars is a long time. While I’m a fan of Padron cigars, my tastes have gravitated towards the more mild/medium end of the cigar spectrum for some time now, so I’m excited to smoke something with more heft. 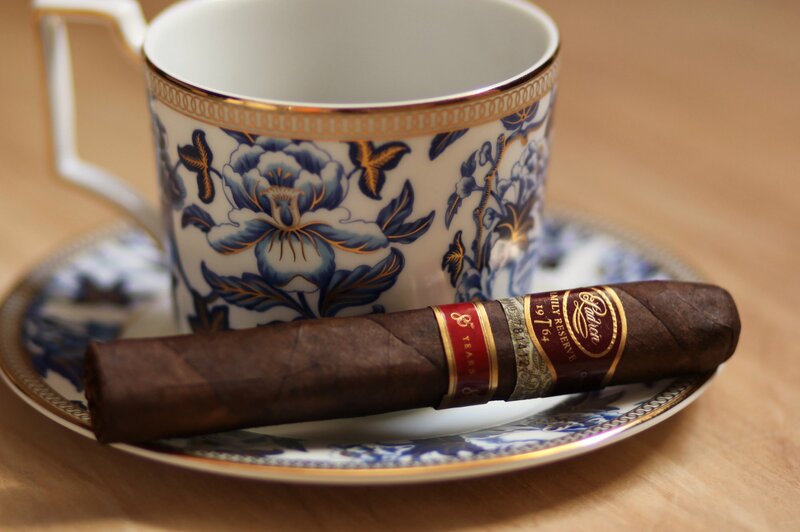 The box pressed Padron Family Reserve 85 Years carries the traditional dark red and gold primary band along with a brighter red secondary band bearing “85 Years.” It is without a doubt a very classy look. The outer wrapper is a dark, slightly marbled brown, with a bit of visible oil and a rough, toothy texture. The scent off of the foot of the cigar reveals bright, dried cedar, espresso bean, hay, and chocolate. The pre light draw has just the right amount of restrictiveness and carries just a bit of pepper and nothing more. As the cigar ignites with the first few puffs, I’m greeted by full flavored, spicy smoke. Flavors are fairly traditional Padron: dry cedar, old leather strips, paprika, black pepper, espresso, and earth. Smoke production is solid, and I’m grateful for the glass of water I have on hand. As a side note, that’s one thing I find about most of my experiences with Padron cigars: if I don’t have anything to drink on hand, my mouth quickly gets parched and that undermines the smoking experience significantly. In any case, at this point there’s so much strength that I’m a bit worried about balance, but by just a half inch in, the strength mellows considerably and everything harmonizes. On top of it all is a really lovely creamy sweetness that balances the sharper cedar notes. To me, this is something akin to Padron heaven. Medium to full bodied. Full flavor. Everything right on point. By the end on the first third, the ash is still holding tight and the burn is straight. The flavors have become more complex, with caramel on the finish and an interesting dark cherry note on the palate. As I smoke past the halfway mark, the strength and body of the cigar has reduced to a solid medium, and the retrohale, once a spice bomb, is now smooth and round in textured. The flavor profile has also shifted, with less spice and paprika and more dark chocolate and oak notes. It’s a wonderful transition, and is a great demonstration of what a really complex Nicaraguan blend can achieve in terms of change and movement. The final third is easy and smooth, with rich notes of milk chocolate, leather, baking spices and pepper. The home stretch confirms that the cigar was masterfully constructed, with zero burn or draw issues. This will be a cigar I return to. The Padron Famiky Reserve 85 Year was a phenomenal smoke from start to finish. Loaded with complementary flavors and lots of complexity, it offered a compelling story that captured my attention for the entire length of the cigar. Starting at around $21, this is in the upper tier of pricing, but the value is there (and then some). Pickup this cigar at your local retailer or online. You’ll be glad you did.